Google Drive with documents pertaining to 6th Grade World Cultures Documents. Year at a Glance and diagram that shows the curriculum design of World Cultures for 6th grade. 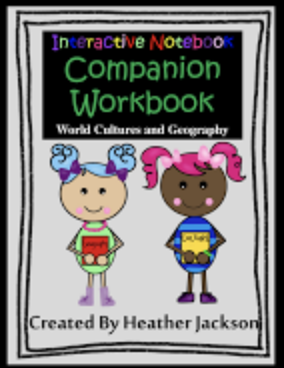 This workbook was created as a companion to the interactive notebook. It complies with the TEKS (Texas Essential Knowledge and Skills) for 6th grade social studies and includes half-page activities as practices, warm-ups/bell-ringers, or short quizzes. Each exercise comes with an answer key. This interactive notebook was created to comply with the TEKS (Texas Essential Knowledge and Skills) for 6th grade social studies. 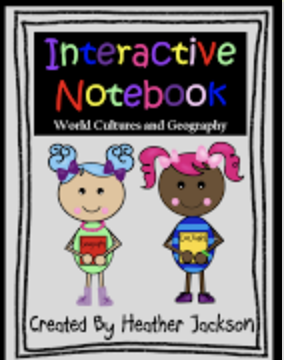 It can be used, in whole or in part, in any class where geography and world culture is taught.